Previous Posts PC Gamer Magazine and MMORPG.com Game of the Year 2009: EVE Online No Levels, No Classes: How Do You Know What To Fight? Deliberately Unbalanced = More Interesting Googling "Offline Progression" For A Chuckle Guild Membership & Offline Advancement How Powergamers Made, and then Broke, the MMOG Genre Reimagining The MMO Guild: Part One Player-Crafted Buildings & Cities in the Sandbox Embracing The Chaos of The 24/7 Offline Progression Sandbox 20 Offline Advancement Ideas For The 24/7 Sandbox. The past several weeks I've been enjoying Titan's Quest, a sandbox, diablo-style character advancement game. The character graphics leave a lot to be desired, but the skill and attribute advancement systems are very fun, and have me wishing that there was an MMOG out there with AION-quality graphics blended with the TQ character advancement system. The world is highly detailed and beautiful. In TQ there is a three-pronged system of advancement. When you level up, you get two character attribute points and three points to be used in your class advancement system. 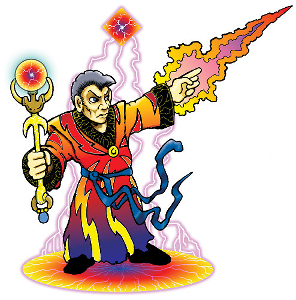 The character attribute points can be used to directly increase health, energy, strength, dexterity and intelligence, while the class points can be used either to (1) raise class level (which automatically raises various corresponding attributes) and opens up various class skills, or one can use the class points to (2) activate and raise particular class skills, such as magic, special attacks, pets, etc. At level 8, one can choose a second class, mixing and matching from several available class options, like spirit, dream, storm, hunting, battle, nature, etc. All in all, it's a very interesting and compelling system. I've enjoyed making many different combinations. The only thing that makes the game dull (at times) is the repetitive killing of mobs; there are too few quests for that aspect to get boring. If you put in a 24/7 automatic experience system and let players choose to use class points however they wished right from the beginning, mixing any class sklls they wanted, you'd have pretty much the game I've been describing in this blog. Such games are more "character advancement" systems than they are competitive-style games, and as such "character balance" isn't really a necessary design consideration, which opens up the sanbox and allows true character originality and diversity. TQ is a great example of an open character customisation. IIn it's own way it is balanced, you only get so many points to spend, you can choose to focus on one mastery, or choose 2 masteries. It's nice that the class is defined by what you choose to develop, instead of the class choosing what you can and cannot do. 9 masteries, of which you can choose two or stick to one giving you a total of 45 different classes, of which you choose the skills within each mastery to develop. This allows you to be what you want, not what a developer pre-defines you to be.